The Jerry Blog! 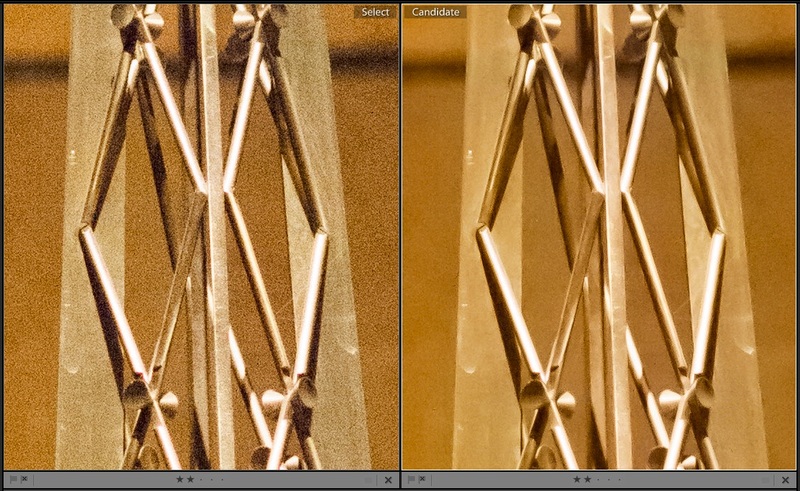 : D4 and Ultra High ISO? 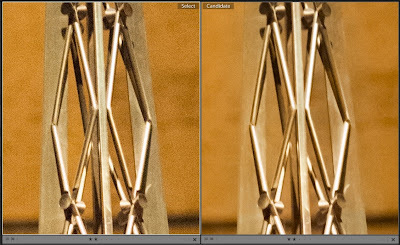 D4 and Ultra High ISO? 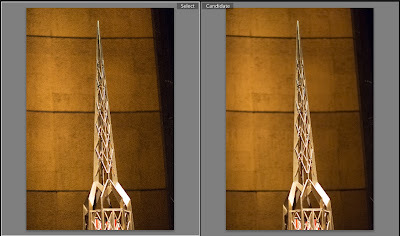 How good (or how bad), is the D4 at higher ISO levels... really? I've not seen anyone willing to stick their hand in to the fire and go into any great detail about what this camera is like in real life conditions (like walking into a DARK location, and by dark, I mean 1/60th at ISO 6400 at F/2 as a starting point! ), take all shots hand-held, and then showing us how good the files are, and then on top of that, how well do they clean up in post. 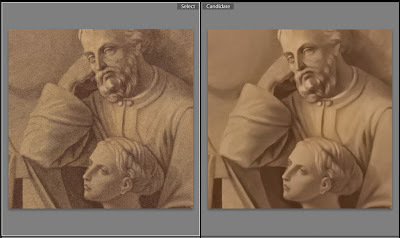 Everyone has seen the few high ISO results from the D4 on the web, but these were taken in a well lit room, and though it was great to see, and gave us some idea about the potential of this camera, it never answered how well it works when not under friendly controlled conditions. So far, I have not seen any hand-held shots at challenging locations where we are left to the mercy of the operator and whatever software they want to use to process the files with later... which is the 2nd part of my discussion. 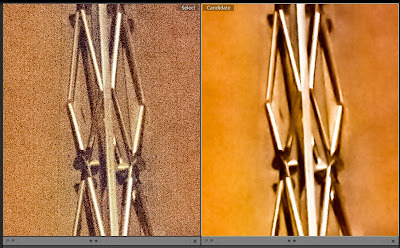 Now, any camera at it's highest ISO will look like crap thanks to lots of lost detail information and a much lower dynamic range, but how well is the noise controlled and how high can someone go and still get a good photo... or how about even a usable photo? Let's define "a useable photo", ok? I shall define a useable photo as a picture that even for a photographer, they would consider the photo good enough if it was a photo of someone special, of something or someone in a once in a life situation that is now forever gone... something precious. If they looked at it and said, "yeah that's someone that I miss..." when looking at the photo instead of thinking "wow, what is this?? ", we have a useable photo. Mind you, this is not a photo I would normally sell to a paying client, it is merely a fine photo that shows a special moment in time. 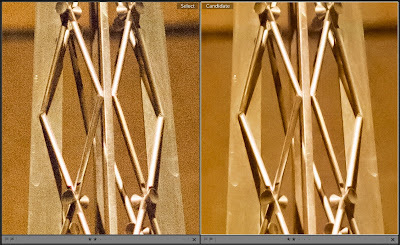 Where does the D4 draw the line between an acceptable photo and unusable under any conditions? How good or bad are it's files and how well do they clean up? These are all some very valid questions... questions that deserve an answer, especially if you are considering this multi-thousand dollar camera. Well, that brings us to another dilemma... there are many options out there that can be used to clean noise from a file, and if anyone wanted to spend a lot of money, they could likely do some very interesting comparisons between all these software, but for the purpose of this blog post, let's just limit ourselves a bit to not the best out there (which I would perhaps say would have to be a plug-in under Photoshop for maximum effectiveness, along with a good mastery of that application to boot), nor the worst, but something right there in the middle. 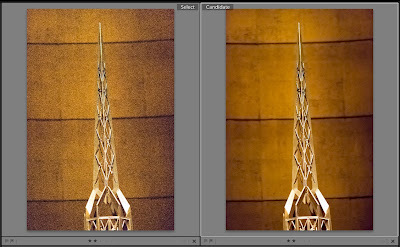 For the purposes of evaluating all photos here, we shall only use whatever Lightroom V.4 can give us in terms of potential for cleaning up the noise from ultra-high ISO files. That is another thing I am going to define... "ultra-high ISO" for the sake of the discussion here will mean ISO levels that start off at ISO 12,800 and goes up from there. 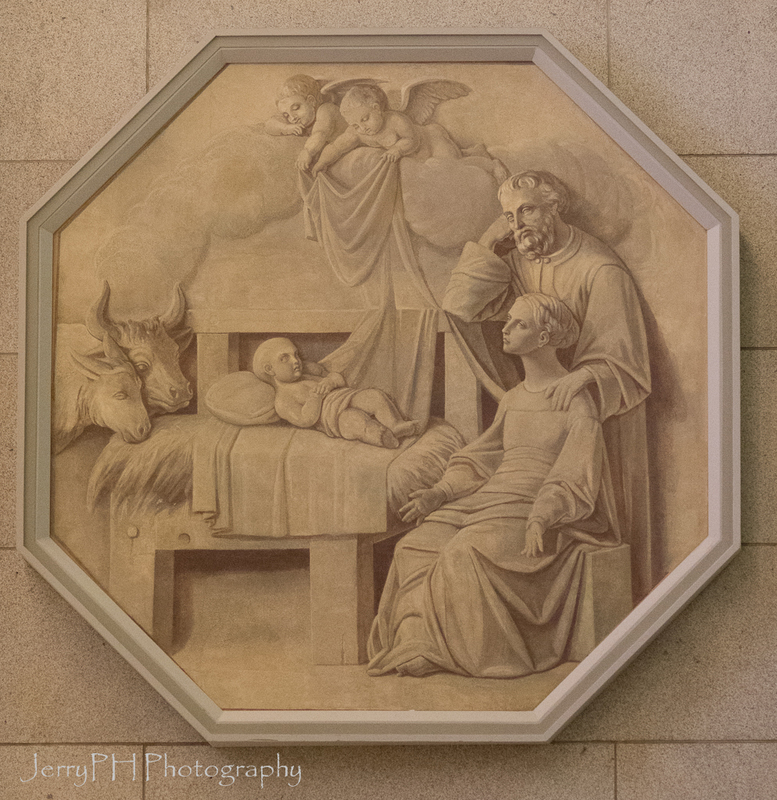 ISO 6400 on the D4 is pretty much noise free, honestly, there is nothing to clean up, nothing to remove, it is as clean as an ISO level somewhere between 800-1600 on a D700... and that means as clean as you want it to be, even at pixel-peeper levels of 100% viewing. 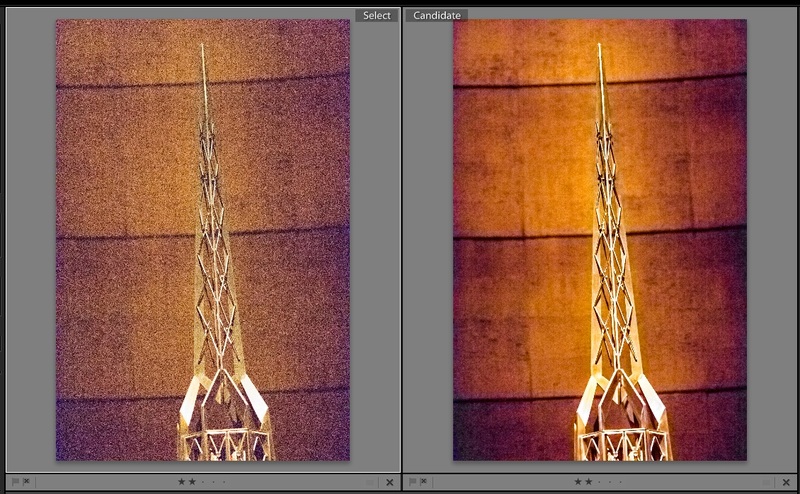 That is why I am not even going to start at ISO 6400. Today, that level is now considered "middle of the road" as far as I am concerned, yet it is a level which even one generation of digital cameras back was considered an incredible accomplishment. Times change, things move to a different beat today, so let's roll with it. 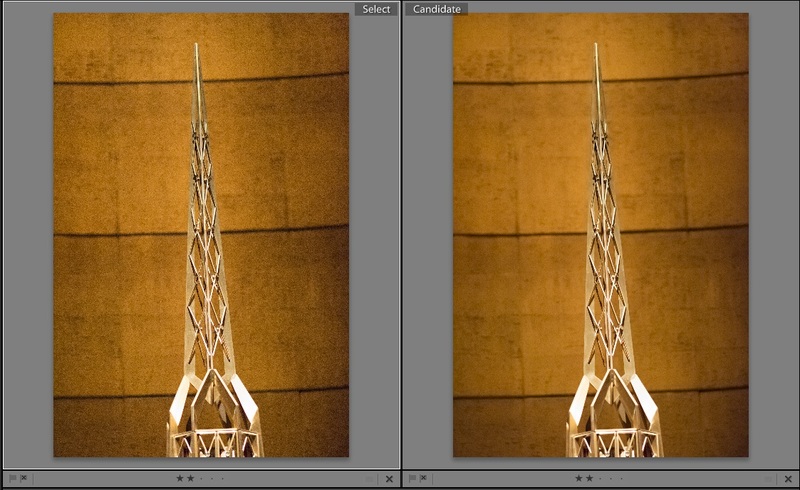 Finally, if we are going to compare, let's compare it to the performance of another camera that I own, a D700. I wish I owned and could compare to a D3s, things would be a lot closer, but one has to play with the cards one is given, and my two cards are these two cameras. 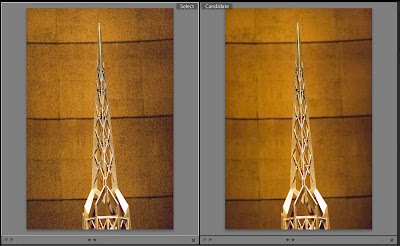 With that all said, let's have some fun and look at some SOOC (Straight-Out-Of-Camera) files and some files touched up in Lightroom V.4 and see what we learn. May 23rd, 2012, I went to one of my favorite locations to shoot some high ISO shots with the D4, this place is the St. Joseph's Oratory in Montreal. Those that follow my Flickr stream know that I've often gone there and I know where all the best dark spots and most challenging locations are to really push one's camera if you want to talk about things like focusing in really low light and shooting at high ISO levels. 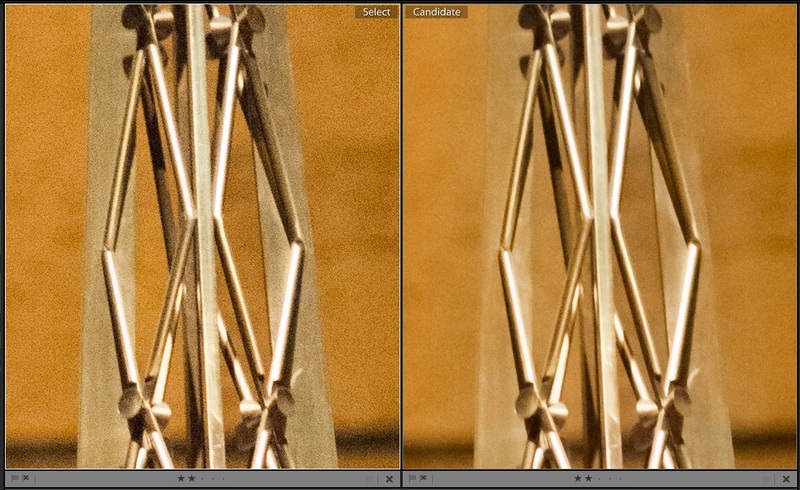 What impressed me with the D4 is the increased dynamic range. I am seeing detail here in this photo that I just do not see in any of the prior photos I have taken of this room, and I like what I see. 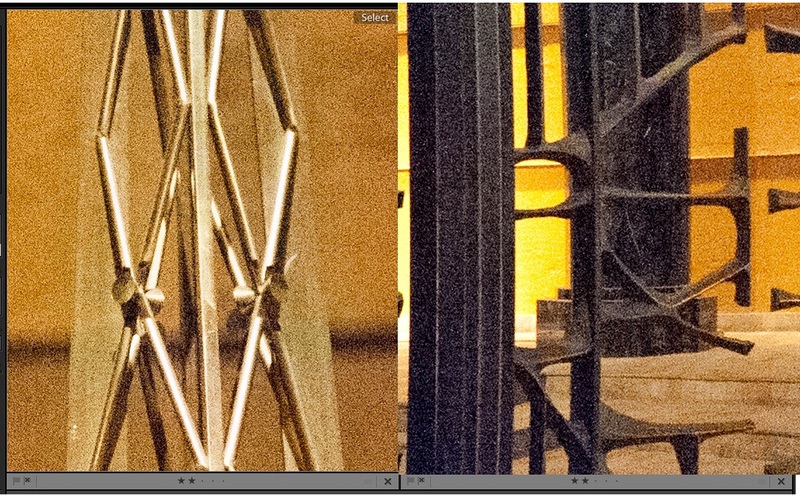 First off, that is indeed ISO 6400... and that is also ZERO noise reduction. 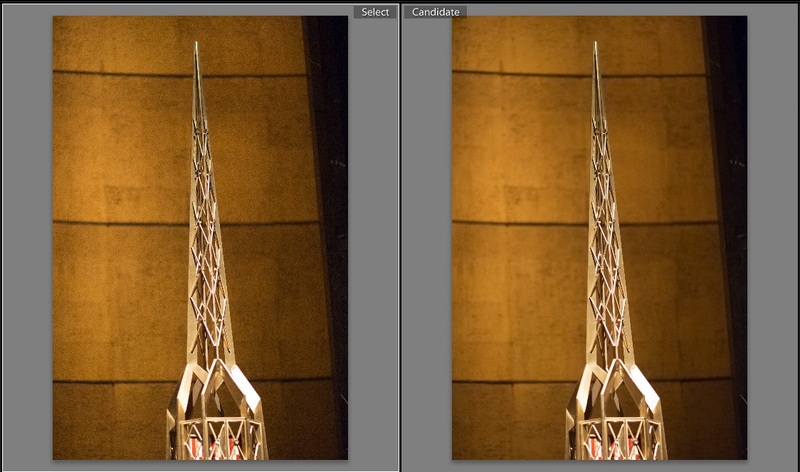 Not bad, but let's get a little more serious with the high ISO on the next one. 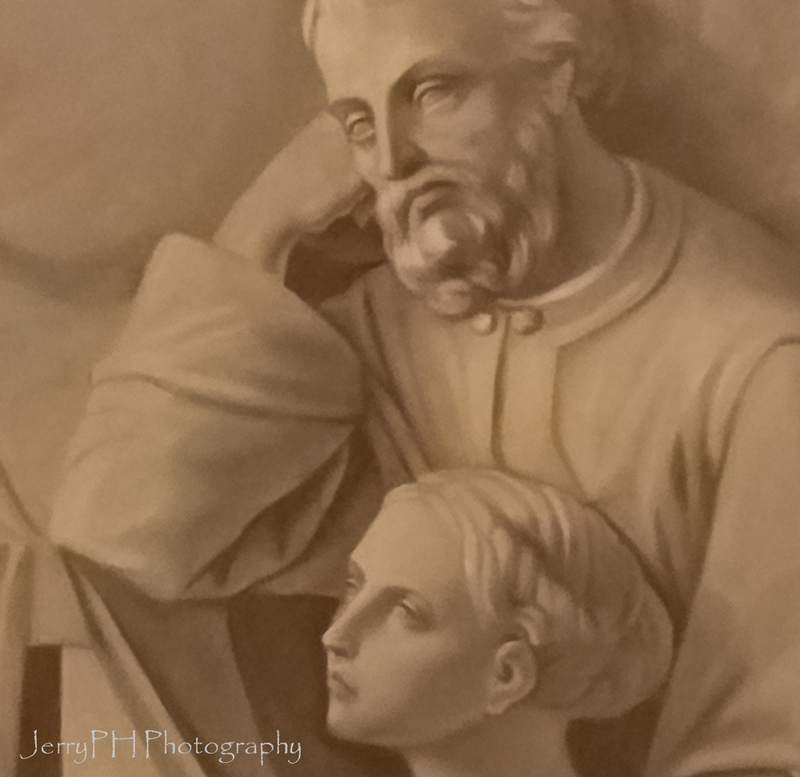 This next one is taken at the very top of the Oratory, in the Basilisk, or top most area. Almost hidden to one side is a stone carving about 20 feet up. These were taken at ISO 12,800 at 1/100th of a second using the Nikkor 135mm F/2dc, and we were at an aperture of F/2, so... it was DARK there. In this shot, we can see from the SOOC file that it looks good. 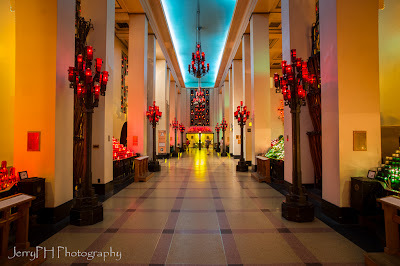 In real life, if you were there and then looked at this photo and compare this to what you see in this location, you would say that the camera is registering a photo brighter than your eye sees in this darker location and you would say it looks good. Point of fact, I can print out 16X20 files of this photo from the SOOC file, and it would look excellent... no one would say "what is that... is that... noise??". It is not until you go to the Pixel-Peeper levels of 100% that the noise even becomes visible. Looking at the same shot as above, but at a 100% crop, we can see from the SOOC file that it does indeed show some noise... though honestly, it is truly minor and in real life, looking at the actual art piece, you would see it has some grain to it as well, though not as much as there is noise in this photo. This is a MORE than usable photo, it has a ton of dynamic range in there, no colour artifacts and quite honestly little to no loss of details. Also, I already see something very interesting... that the noise seems very linear and consistent. This means that lowering or removing this noise is going to be a very easy job for the software. Even so, something this good did not even exist 10 years ago at these ISO levels! 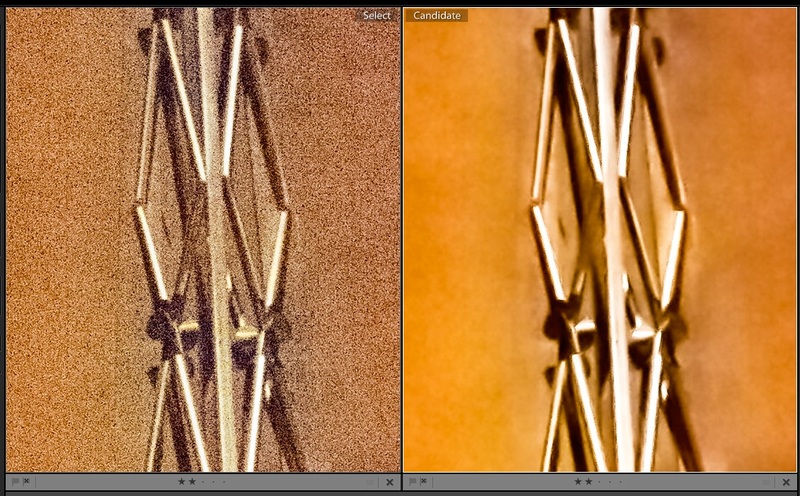 In this shot, we can see from the LR4 lightly modified file that it looks... wow. 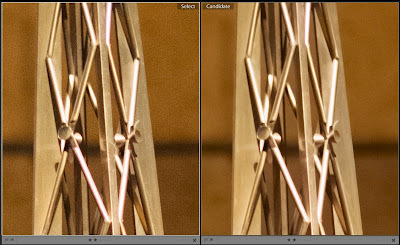 The 100% crop view of both photos, placed side by side, shows that there really is no appreciable loss of detail at this level, and that is just really impressive, considering we are starting off at ISO 12,800. However a slider level of around 35 or so would have resulted in a photo that more accurately depicts what one sees in real life much more acurately. The photo is of the top part of an altar. The location is again dark. How dark? ISO 12,800 at F/2 at 1/60th on the D4 with the Nikkor 135mm F/2dc lens. We are talking very dark. 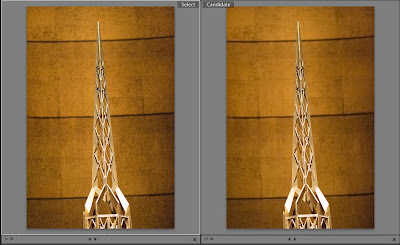 On the left we have the SOOC shot and on the right, we have the same one, but edited in LR4. At this point, I am going to stop rambling for the next few photos and just post facts about the photos and let them do all their own talking. Don't forget, clicking on a photo brings up a much larger version of the photo, and clicking anywhere on the black part brings you back here. 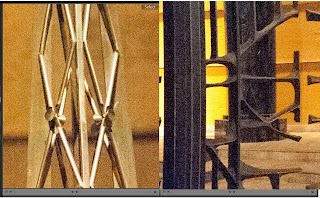 Equipment: Nikon D4, Nikkor 135mm F/2DC lens always set to F/2 in all the 10 photos below. As a small aside, let's look at how two worlds collide a little. 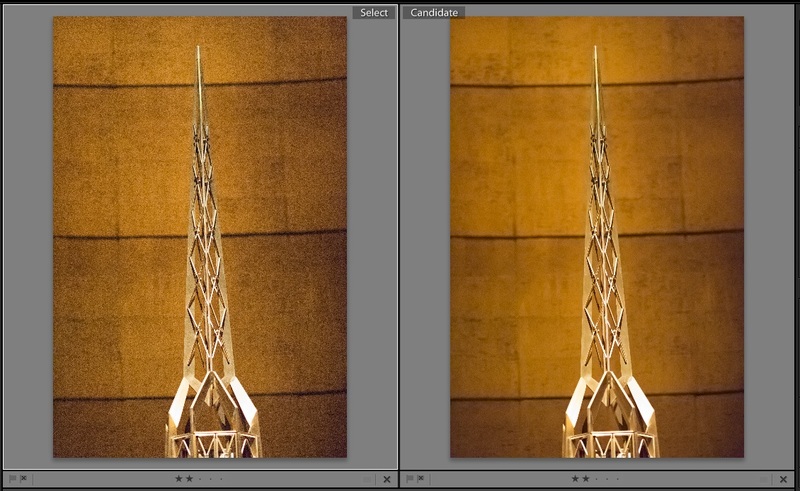 In the photo below, on the left, we have the D4 with an ISO level of 102,400 and on the right, we have a D700 with the ISO level of 25,600. 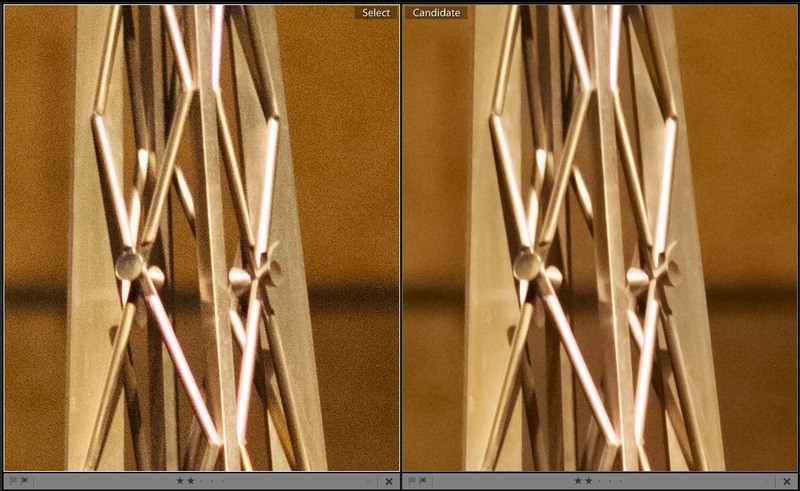 1. the D4 has *all* in camera noise reduction completely turned off. 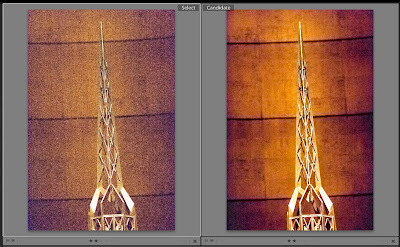 2. the D700 has in camera noise reduction turned on to it's maximum level. 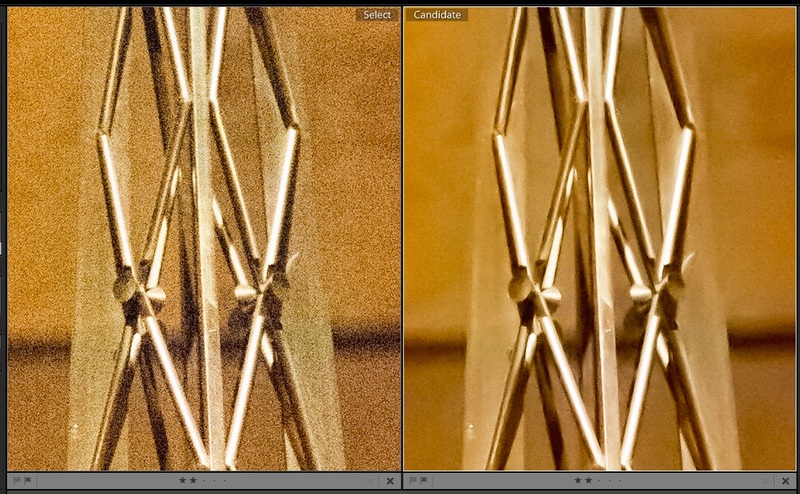 3. we can see that the quality of the noise on the D700 shot is nowhere near as linear as the shot made by the D4. This makes removing noise a lot less effective. 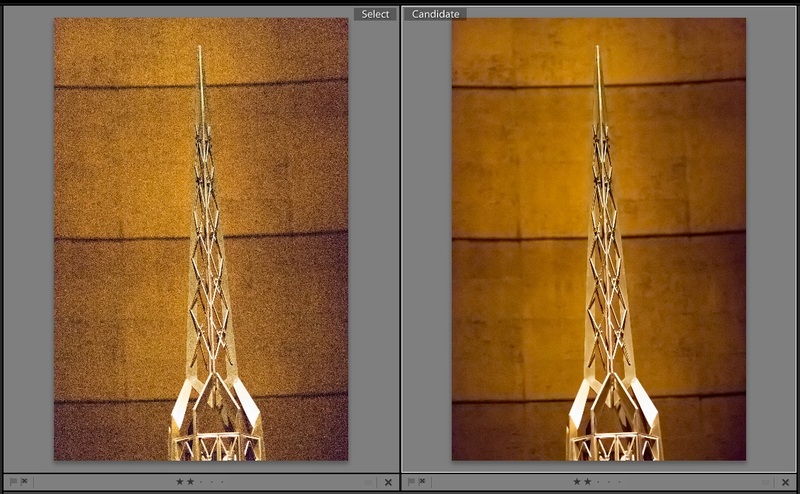 If the D700 in camera noise control was set to the same setting as the D4, that D4 would easily pull a 3 stop (or possibly a little more), advantage over the D700... now THAT is impressive! Ok, let's talk about these results. 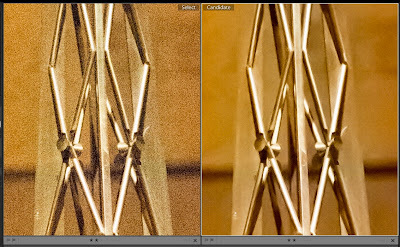 First off, I do not think that many will dispute that Lightroom V.4 does a more than fair job of controlling noise at all levels. I never had to go over 80% no matter what ISO, and that alone says a lot... however, what is more important and very surprising is that we are getting very good post edited results all the way to ISO 102,400... and remember that "what is the highest ISO possible to get a useable photo" question? I think we answered it. Now, different people have different standards, but for me, under the circumstances that I outlined above, I would be unafraid to use ISO 204,800 if the difference between having that precious memory preserved, or having no memory at all, but what is very surprising, is that the D4 produces some very useable photos at ISO 204,800 that when SOOC, are just complete and utter rubbish, but with some TLC in post, and thanks to the very characteristics of the noise it produces along the noise controlling abilities of LR4, we get some useable results, and that means that for me, I am just tickled pink at how the D4 performs at these ultra-high ISO levels! If you've stuck it through another one of my novel-sized blog posts, congratulations for the display of patience... I want to thank you, and I hope you enjoyed it as much as I did writing it!